Mackerel, fermented soybeans, spinach salad, and miso soup. Imagine being taken into hospital and enjoying the food so much, you probably don’t want to leave. Imgur user Hahahah1111111 recently gave birth in Japan and shared pictures of the set meals she was given. 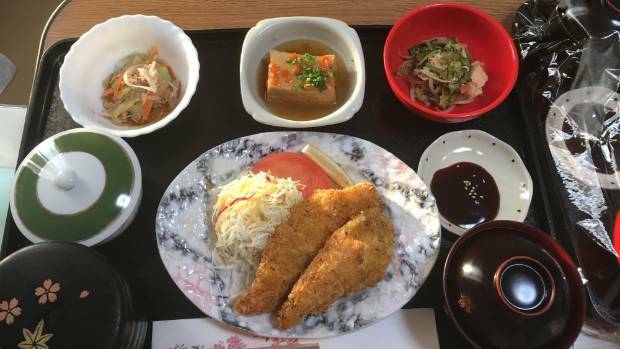 The foods are typical of a healthy Japanese diet, including grilled fish, meat, rice, salads and fresh fruit (with the occasional deep-fried indulgence thrown in). Chicken fingers, Okinawan bitter gourd, agedashi tofu, and carrot salad. This style of eating is known as “teishoku”. Featuring separate dishes to create a balanced meal, it is by no means unusual or surprising in the longest-living nation in the world. Rice covered in omelette called “omuraisu”, macaroni salad, chicken soup, squid rings, fruit, and green tea. 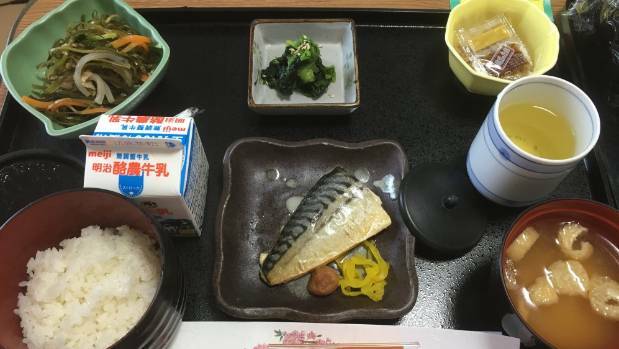 One post shows a standard breakfast of mackerel, konbu (seaweed) salad, spinach, rice, milk and green tea. It also comes with a side of natto – fermented, sticky soybeans served with a sachet of mustard. An acquired taste among non-natives, it’s hailed as a superfood. Chicken fingers are served with sweet “tonkatsu” dipping sauce, shredded cabbage salad, rice and agedashi tofu. Goya champuru (bitter gourd stir fry) is originally from Okinawa, a part of Japan famous the longevity of its residents. On one occasion she was served “omuraisu”. A compound of the words “omelette” and “rice” in English, it’s a thin sheet of egg laid over rice mixed in with ketchup. It came with a macaroni salad, chicken soup, squid rings, fruit, and green tea. A “Celebration) Dinner” of Camembert, roast beef, mashed potatoes, and lotus roots. 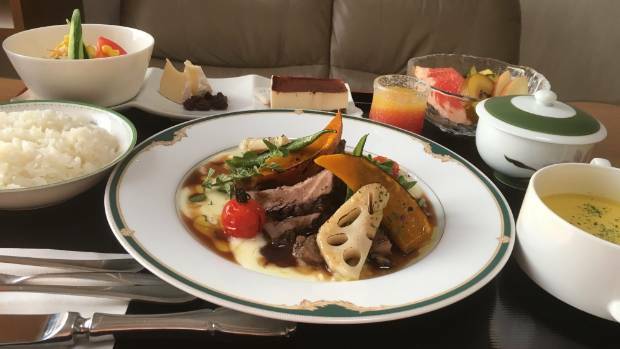 For her final “Oiwai Dinner” (which means ‘celebration’), she ate camembert and raisins, roast beef with mashed potatoes and lotus root with gravy. This was accompanied by corn soup, rice, and tiramisu for dessert. By our standards, it might seem lavish, but a nutritious diet is an integral part of the culture. 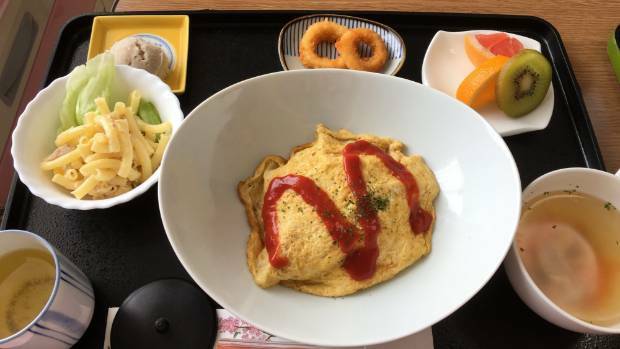 Teishoku isn’t just for hospitals either, as all high schools across the country adopt this style, and many casual restaurants will offer breakfast this way.